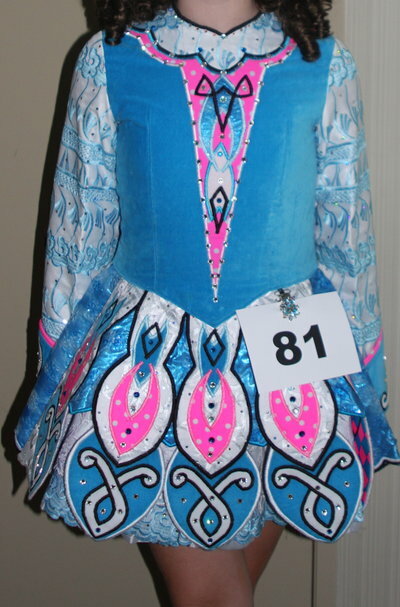 Beautiful blue and pink dress, with velvet blue bodice and over 100 Swarovski crystals. Skirt lining is blue and pink checker, and comes with matching checker bloomers. Made by Mags Gogarty. Includes cape, bloomers, headband, tiara, and flower. Dress is very clean, is kept in a smoke free home, and always stored flat. There is no room for the dress to be let out or let down. Asking Price: $US300. Shipping costs are not included in the asking price. Returns are negotiable.